← Get to Know Stella . 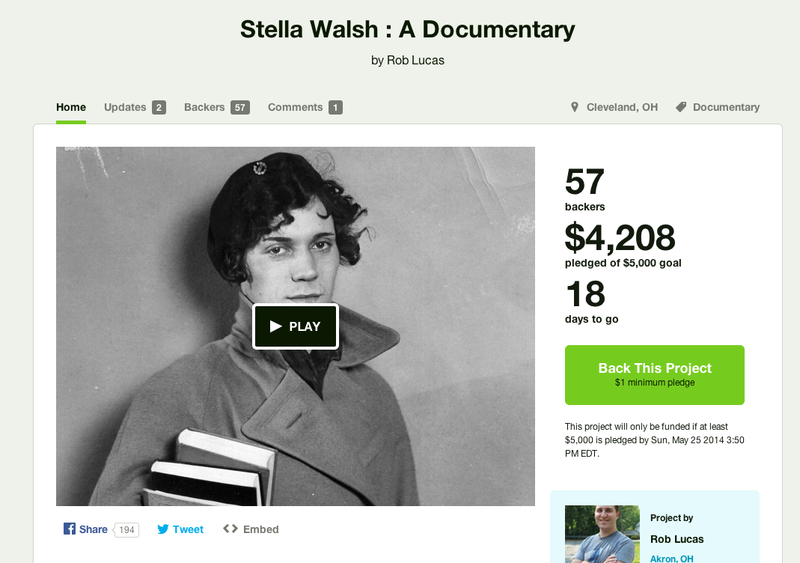 . .
Help bring “Stella” to Cannes! “Stella Walsh” will be part of the Short Film Corner at the 2014 Cannes Film Festival, but we need your help to license the archival footage in the movie. We have created a Kickstarter campaign for $5,000, which is only a small portion of the licensing fees we have to pay. By contributing to this campaign you can earn some really cool rewards, so please check it out! Rob Lucas is a media professional from the Akron, Ohio area.